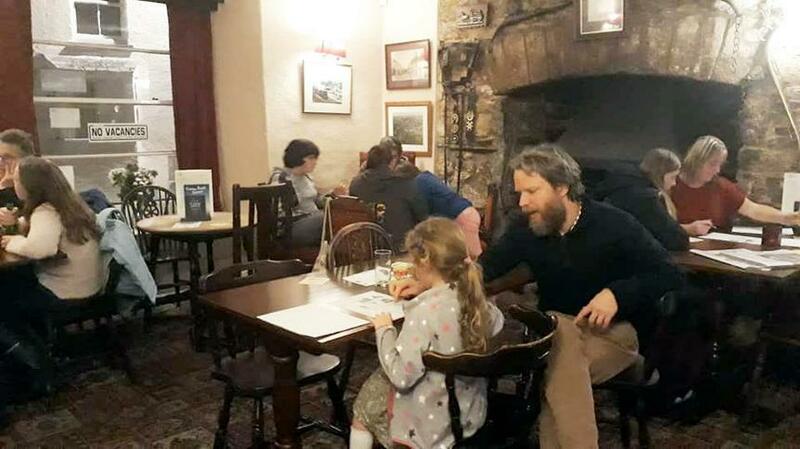 The first Family Quiz to raise money for the School Association was organised by South Brent Primary School Mum, Lily, in the Packhorse Inn on Wednesday 14th November at 6PM. Three family teams came along, of whom the Harrisons won the £20 first prize jackpot. All who came said they had a great time and enjoyed the format, which included some questions only the children knew the answers to. Lily will be hosting the next Family Quiz School Association fund raiser at The Packhorse Inn on Saturday 19th January; starting at 6PM. We hope some more families will join them in the fun. All welcome.